Any flight into Hartsfield-Jackson reminds you why Atlanta is called the city in a forest. As you descend, it’s hard to tell where the city begins and ends, save for clusters of skyscrapers along Peachtree that poke above the verdant canopy. Within the 133 square miles that constitute the city proper, this is no trick of the eye. The tree canopy covers almost half of the city—47.9 percent to be precise—according to an assessment released in 2014 by the Atlanta Tree Conservation Commission and Georgia Tech. Using satellite imagery to determine coverage down to the neighborhood level, the researchers confirmed that Atlanta has the country’s densest urban tree canopy. Without an oceanfront or mountain chain or broad river flowing through downtown, Atlanta’s most distinctive natural feature is its trees. Despite stringent ordinances aimed at protecting those trees, our canopy faces a paradoxical new threat: renewed interest in urban living. 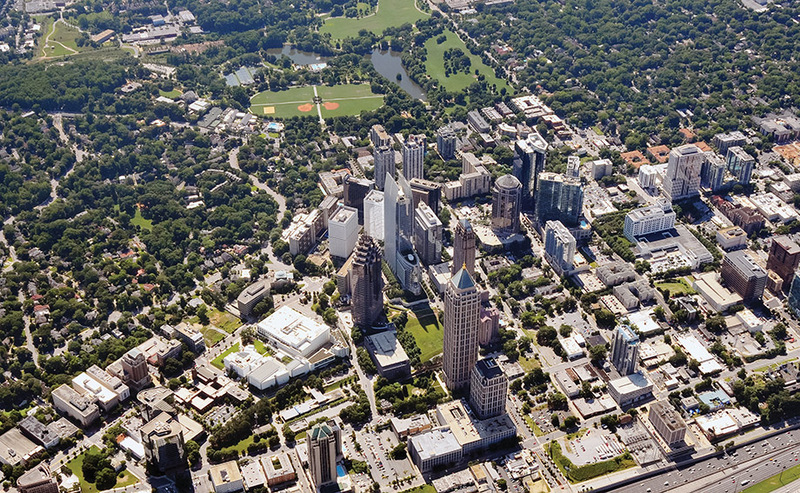 Population growth within the city and a surge in denser development may represent eco-friendly shifts from Atlanta’s car-centric sprawl, but those trends are paired with infill development that puts trees—especially older, taller “overstory” trees that form the canopy—at risk and reduces space to plant replacements. For most of us, the term “tree loss” conjures images of clear-cutting to make way for subdivisions or highways—the suburban and exurban development of the 1990s and early 2000s. Such large-scale removal is in sharp contrast to strict tree regulations updated in the City of Atlanta and close-in communities like Decatur during the same era. 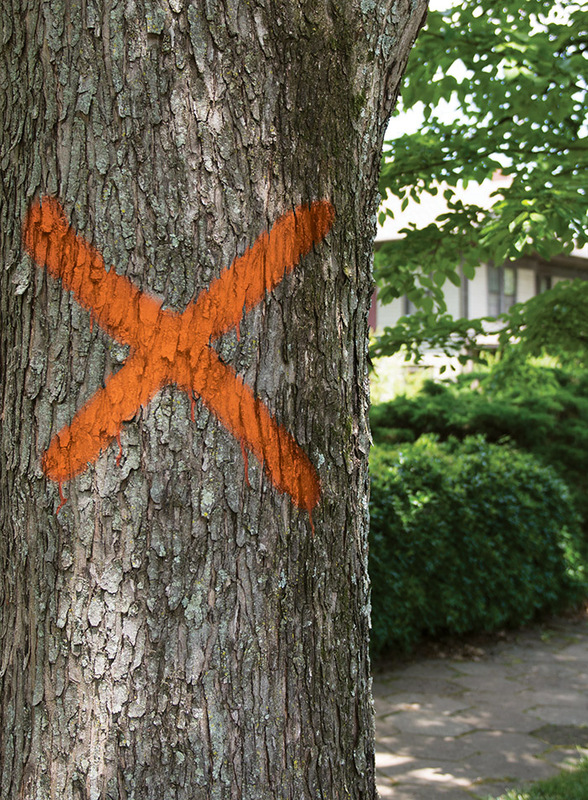 After a 1990s tightening of rules on tree removal, in the 2000s the City of Atlanta broadened its ordinance to prioritize protecting existing healthy trees. The law regulates tree removal on private property, which can vex landowners—you need a permit to take out a healthy tree as small as six inches in diameter. But the ordinance reflects a reality: More than three-quarters of the city’s tree canopy exists in residential areas, while parks and public green-space occupy only 6 percent of city land. “When we say we want to remove trees and plant ‘elsewhere,’ there’s a limited amount of space ‘elsewhere,’” says Kathryn Evans, an analyst with the Atlanta Tree Conservation Commission. Many intown backyards are part of a once-connected canopy that dates back more than 150 years. Kathryn Kolb, codirector of EcoAddendum, an organization dedicated to urban forest restoration and education, says older parts of Atlanta were spared the rampant timbering that cleared much of Georgia in the late 1800s. “The greater metro area has wonderful pockets of forest everywhere; there is a surprise in every neighborhood,” says Kolb. A tulip poplar in Brookhaven, for instance, dates to before the Revolutionary War. A 91-foot-tall white oak towers over a private residence near Grant Park. Pint-sized Lullwater Conservation Garden in Druid Hills is home to a 50-foot-tall yellowwood (a rare native tree) and a 121-foot-tall American beech, both on Trees Atlanta’s Champion Trees list, which identifies standout examples of each species inside the Perimeter. The largest tree in Atlanta—a 102-foot-tall cherrybark oak measuring 23 feet around—is just behind Turner Field at Our Lady of Perpetual Help, a home for incurable cancer patients. Historically, there was room on residential lots for the tree canopy to flourish. Quaint cottages and bungalows in neighborhoods like Candler Park and Oakhurst don’t occupy the maximum square footage on their lots. With plenty of root space, shade trees like native white oaks can grow to diameters over 25 inches, rise more than 60 feet above the soil, and spread their branches wide, providing more than 1,600 square feet of canopy. Removing a large tree to increase the footprint of a house or dig a basement doesn’t just reduce the tree canopy in the short term; the increased impervious surface of an expanded foundation makes it next to impossible for a replacement tree to grow to maturity. Removing a single tree creates a ripple effect. Over more than a century, Atlanta’s tree roots formed a network that exchanges nutrients and helps all trees stand tall. “It takes a forest to raise a tree,” Kolb says. Trees function as a community: Boundary trees at a property’s edge can handle wind and other elements, protecting their interior counterparts, which tend to be the senior citizens. 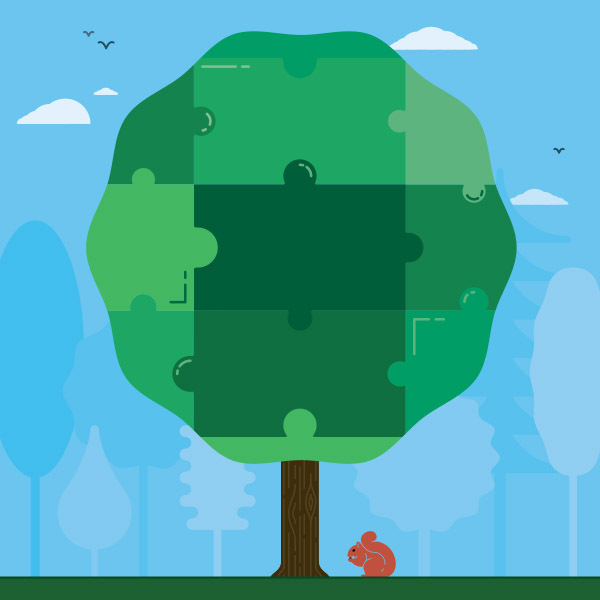 When a lot is graded for development, the senior trees—the deep-rooted ones impossible to replace—are usually first to go. Greg Levine, coexecutive director of Trees Atlanta, says bulldozing makes it harder for any plant life to thrive. Grading a lot down to red clay scrapes out topsoil rich with plants, insects, and worms that help keep trees healthy. But with property values surging upward, developers question whether they can afford to preserve trees. Nabil Hammam has developed properties in historic intown areas for the past 20 years and also chairs NPU E, which includes Ansley Park, Atlantic Station, and Sherwood Forest—his own neighborhood. This puts Hammam on both sides of the issue, and he says it can be a challenge to balance the economics of development and the desires of preservation- and conservation-minded residents. People will pay for bigger homes with basements. A new house can sell for $1.4 million in high-demand areas like Virginia-Highland or Candler Park, and developers are willing to pay $400,000 to $500,000 for properties destined to become teardowns. In Ansley Park, where new homes can go for as much as $2.5 million, a teardown property can run $1 million. In light of these economics, the City of Atlanta “recompense” program, which lets builders pay for the privilege of removing older trees, is a pittance. To remove an oak with a 25-inch trunk, a developer would pay just $850—$100 per tree and $30 per inch of diameter. That money goes into the city’s Tree Trust Fund, which is used for new planting and to maintain the city’s forest. The fund is administered by the city’s parks and community development departments, which also oversee planting on public right-of-ways. On average, the city receives $1.9 million annually in tree removal recompense. When intown sales soar, so does the willingness to build on lots riddled with culverts, gullies, and steep grades. Long considered “unbuildable,” such parcels support old-growth trees and dense undergrowth. “As land becomes more valuable, there becomes much more incentive to develop difficult-to-develop land,” Evans says. Prime examples occur along streams on the east side of the city. In Lake Claire, a tract of land held a handful of homes whose wooded backyards sloped toward a creek. As prices rose, a developer bought up the lots to create a mini-subdivision. Almost every metro city and county has a tree ordinance. But city rules trump county, and variations are endless. Consider: Within Fulton County, Atlanta’s ordinance applies to healthy hardwoods six inches in diameter or greater and pines 12 inches and up, while Sandy Springs’ covers hardwoods and pines 18 inches or greater. Alpharetta bases removal permits on property density requirements, and charges fines for removing specimen trees—24-inch oaks and elms. In DeKalb County, a tree needs to be 30 inches to earn specimen status. Assessing regional tree coverage is challenging. The best data points come out of a 2004 study conducted by Liz Kramer, director of UGA’s Natural Resources Spatial Analysis Laboratory. Her analysis of the 16-county Metropolitan North Georgia Water Planning District revealed that the area lost an average of 54 acres of canopy a day between 1991 and 2001. A later county-by-county comparison revealed that Gwinnett was particularly hard hit. In 1991, 52 percent of the county was covered with tree canopy; by 2005 that had dropped to 37 percent. Canopy loss isn’t the same as tree loss; it measures “overstory” shade trees that could hide scores of smaller trees—or none at all. But Kramer’s work does provide an idea of what’s going on at the macro level. In a 2008 analysis, she found that canopy loss stabilized at 50 acres a day between 2001 and 2005 as expansion slowed from its peak in the previous decade. “The period of the 1990s was unparalleled for metro Atlanta for sprawl,” notes Kramer. Of the many creatures in our urban ecosystem, your best friend is the backyard bird. Red-tailed hawks and Eastern screech owls control rats and mice, while little chickadees eat about 1,000 flying insects a day. Pruning early in a tree’s life is beneficial because it sets the groundwork for withstanding extreme conditions later. Overstory trees, such as oak or hickory, can reach 60 feet and create canopies of 1,600 square feet. Understory trees, such as dogwoods and redbuds, can reach 30 feet and provide 400 square feet of canopy. Climbing vines choke trees. Kudzu isn’t the only culprit; remove invasive species like English ivy, Chinese wisteria, and honeysuckle. Spot a crack? Call an arborist. During photosynthesis, trees remove smog-causing air pollutants; 100 trees eliminate roughly 53 tons of carbon dioxide from the air per year. By the time it’s 10, a tree can absorb 48 pounds per year. If a tree loses more than 40 percent of its canopy in a year, or if you spot many bare limbs, call a certified arborist. A 2006 to 2007 study in Portland showed that homes near “street trees” sold for about $7,130 more—and 1.7 days faster—than those without nearby trees. A 2002 UGA study found homes in Fulton County areas with protections for mature trees sold for some $105,000 more than those in areas where developers replaced mature trees with smaller ones. In Baltimore, a 10 percent increase in canopy correlated with a 12 percent decrease in crime. Chicago residents of public housing with nearby trees experienced 48 percent fewer property crimes and 56 percent fewer violent crimes than those in buildings with no exterior vegetation. 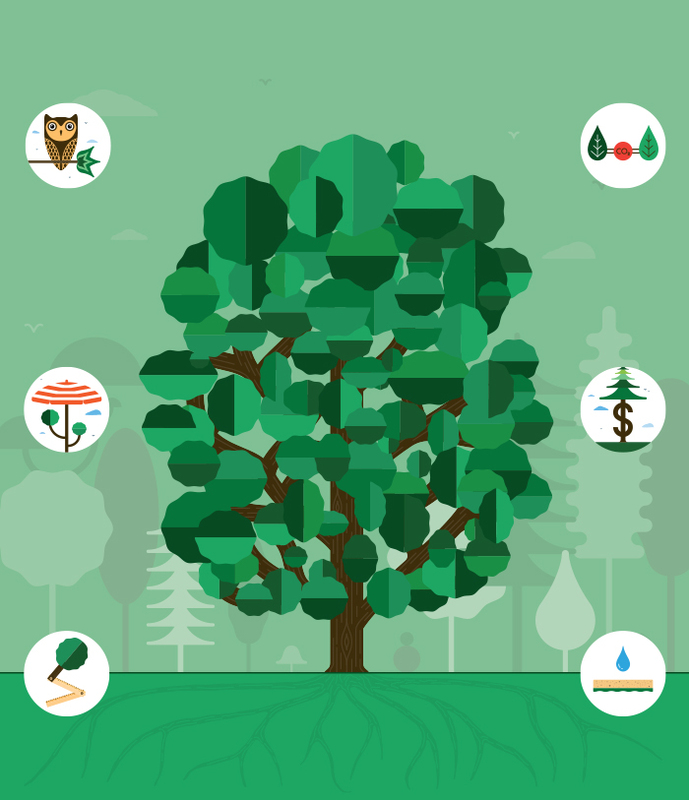 One hundred mature trees catch about 139,000 gallons of rainwater per year. As natural landscapes are replaced by pavement and buildings—which can’t absorb rainfall—more water rushes to streams, carrying pollutants such as motor oil and pesticides. In urban areas with 75 to 100 percent impervious cover, more than half of dirty stormwater runoff reaches streams; in areas with natural ground cover, only a 10th does. In addition to keeping streams clean, trees reduce street flooding. To keep a tree healthy, pay attention to its critical root zone—a one-foot radius for every inch of the tree’s diameter. Make sure utility repairs are performed under roots —not through them—and keep construction machinery off the zone. Don’t presume roots are headed into the base of the house; many older Southern homes are built on piers, so tree roots affect facing—which covers a crawl space—not foundation. This article originally appeared in our July 2015 issue.